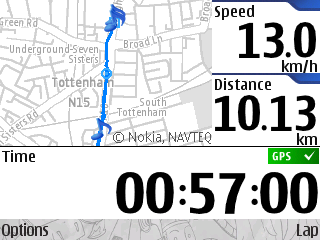 Having started from 2.5 km distance only this spring, today I hit 10. Speed leaves something to be desired though I hope that my goal to run half marathon this autumn is real. The problem is that for the last month I've been running streets instead of parks and riverside because it's more fun - but the air is not so good near the roads. Gotta invent new routes.